On my Macbook Pro with latest macOS - every X minutes, the screensaver turns on for X seconds, then the screensaver turns off. This application by defaults runs every time the MBP turns on, with the option to disable. I've started to create this using Automator but I'm stuck at disabling/turning off the screen saver. Is it possible to do this through Automator or is there another way to achieve this? 'Loop' - automatically 99999999 times. This is the maximum on Lion - your version may be different. You can then save application somewhere and add it to Login Items. You should set screensaver to 'never' in system preferences also so it doesn't confuse the issue. 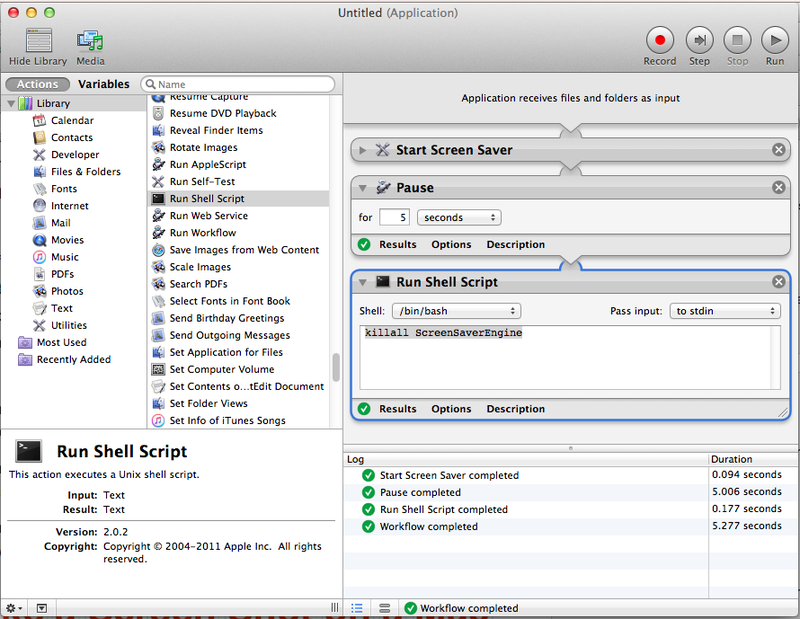 Can I give Automator apps a window? How to remove the 10-minute delay for a scheduled Shut Down?